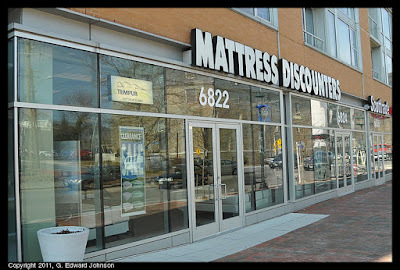 Did you know that Bethesda has a Mattress District? 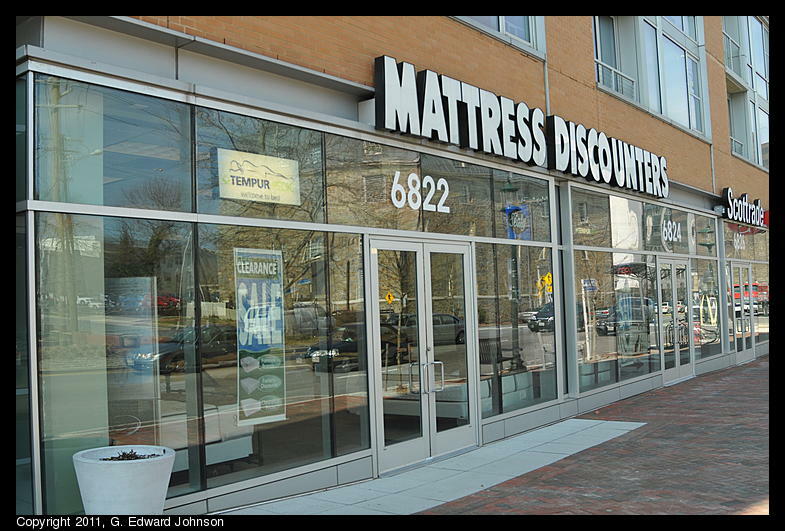 Yup, it's true, lots of places to buy mattresses all conveniently close to each other. 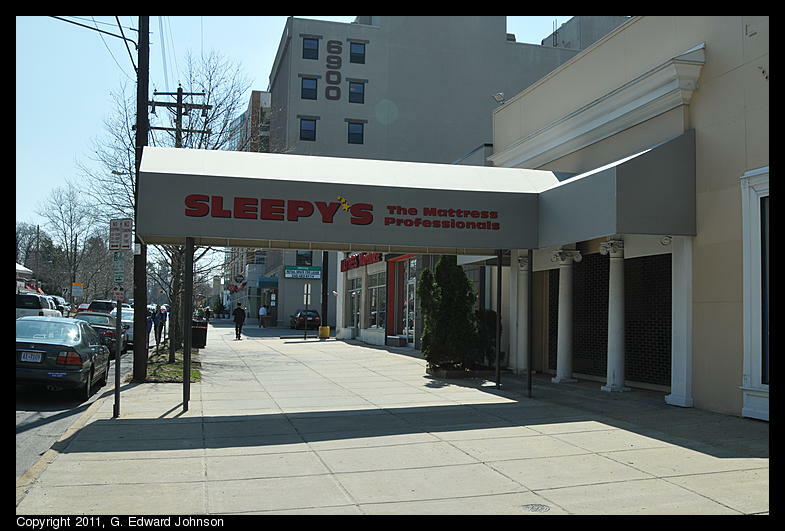 We have a Mattress Discounters, then 3 or 4 stores down is a Mattress Warehouse, then, 2 stores after that, they are putting in a Sleepy's. 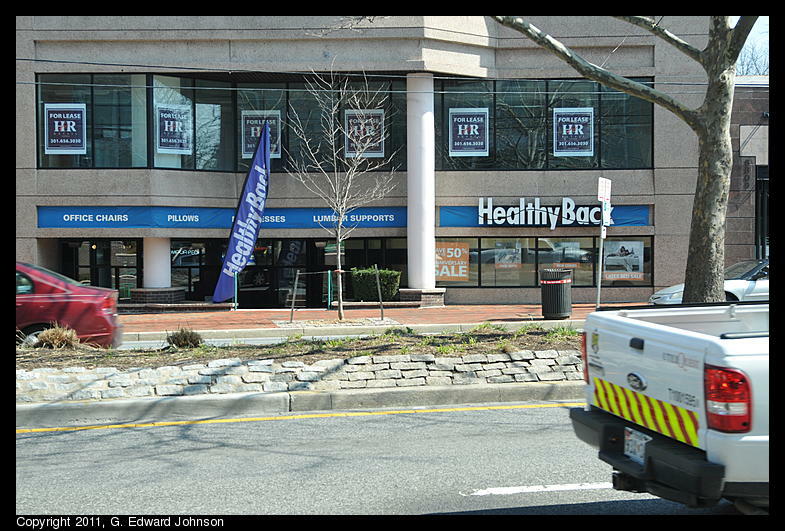 Directly across the street is a Healthy Back Store. Wow, the selection. I think a Mattress district is more useful than a Hammock district. Over the past couple of days they have been preparing to start the road resurfacing project on Old Georgetown Road near the downtown area of Bethesda, MD. 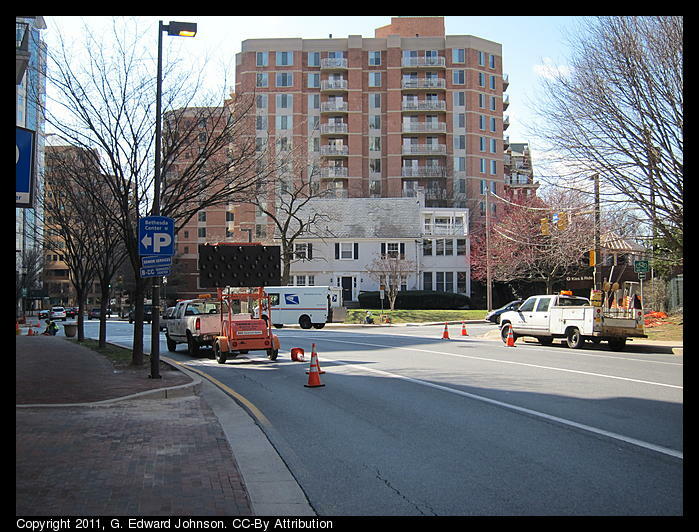 You may recall that last year they resurfaced a stretch of the road but stopped short of the downtown area. 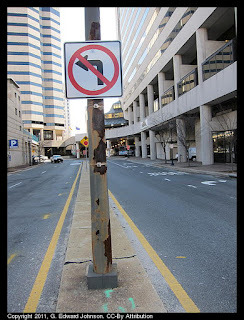 Now they are going to resurface it from where they left off through the end of the road. 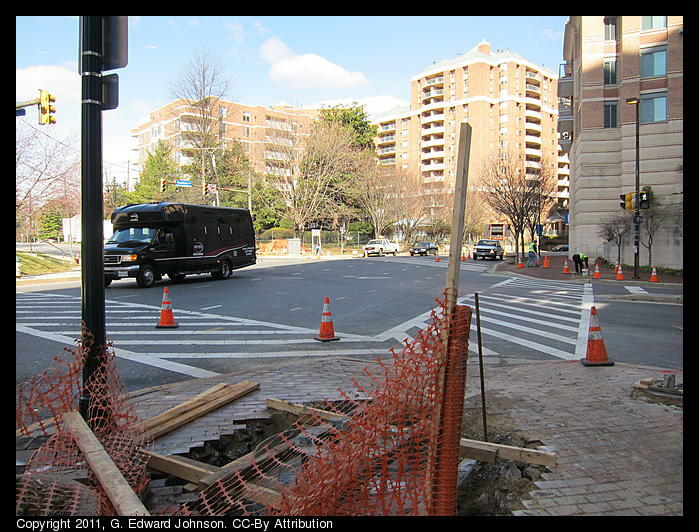 If the last project is any indication, there is a lot to do, replace the storm drains, replace the curbs, put in concrete pads where the bus stops are then, finally, grind down and resurface the road itself. 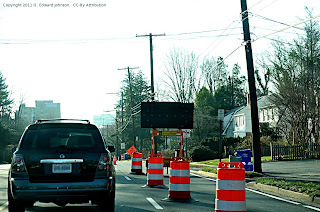 In the mornings they have been closing one lane southbound (toward Bethesda) starting a bit before 9:00 am. I'd wish they would wait until after 9 because this does cause traffic to back up quickly. Every once in a while I venture out of Bethesda, MD and into the wilds of Washington DC. Last week I went to the National Museum of Natural History (aka, the Dead Animal Museum). 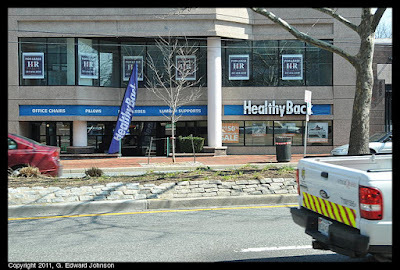 I took the red line to Metro Center and walked south for a few blocks (Federal triangle is closer but it isn't worth switching lines). Admission to the museum is free. 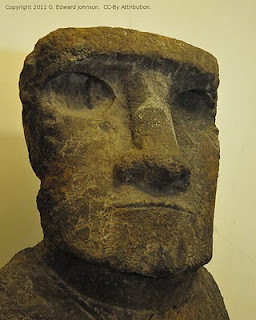 There are a few non-american, non-natural artifacts in the museum, such as this Maoi from Easter Island. It wasn't actually as tall as I thought it would be, probably about 15 feet. I always imagined they would tower over you. The main attraction, however, is the dead animals. There's a giant elephant in the main rotunda and lions, tigers, giraffes, squid, whale bones, etc. 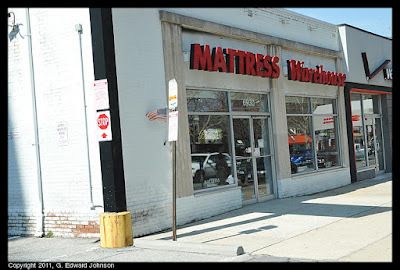 You might how this is different than going to the zoo, there are a couple of ways it is. At the zoo, the animals are a ways a way, they may not be out, or they may be lying down in the shade (and obviously, they move). At this museum, the animals are right there, just a couple of feet in front of you, posed so you can get a good look at them. You get a much better idea of the size of the animals when you are standing right next to them. In the basement are cabinets of birds, all birds that either live in or migrate through the D.C. area. I had no idea that there were so many (over 500 species). If dead animals aren't your bag, they do have a small selection of living ones, mostly small. There is a colony of bees, some four inch long cockroaches, various shrimp, and of course, the butterfly exhibit. 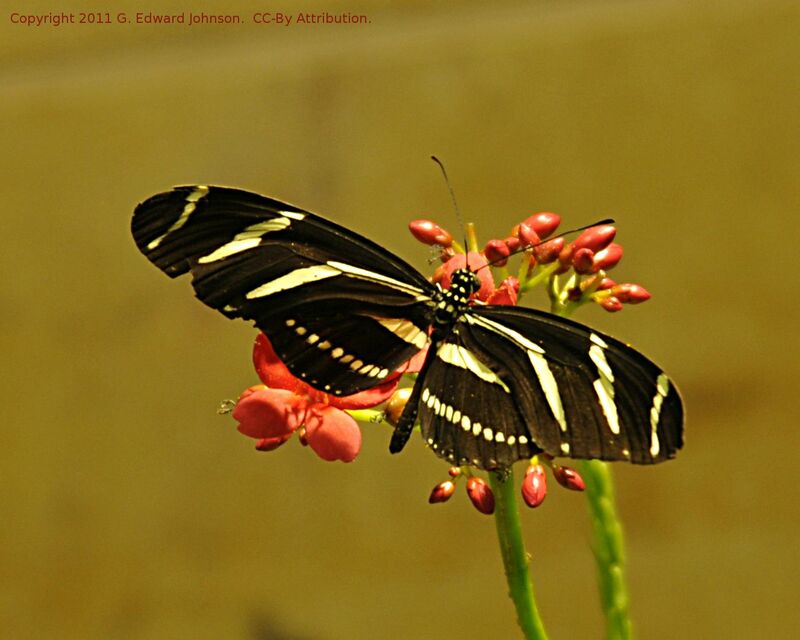 Unlike most museums and exhibits in DC, the butterfly exhibit costs money, $6 for adults and $5 for children (it is free for everyone on Tuesdays). 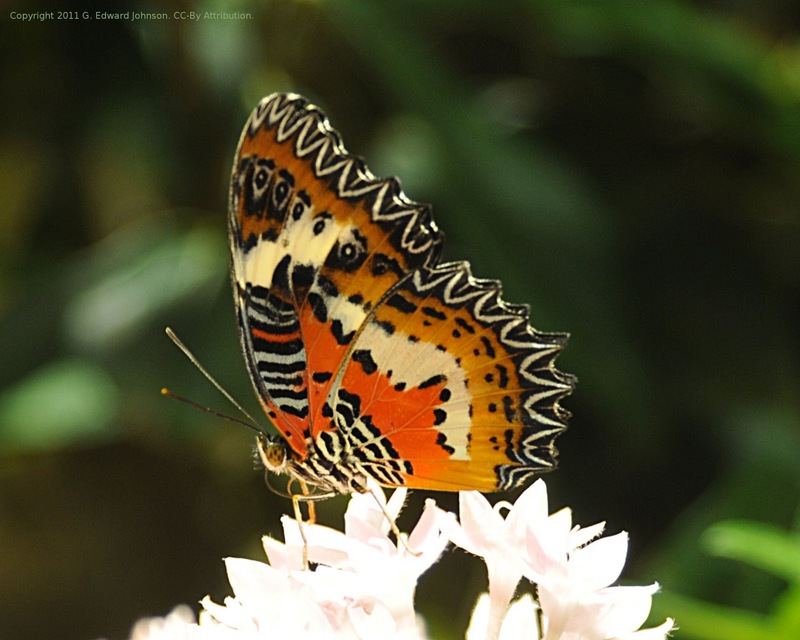 There are over 20 species of butterflies at any given time, fluttering around, sipping nectar and occasionally landing on people. It is neat to see them and worth the price of admission. There is really too much to see in one visit, you can see their website for a full list of exhibits. I also saw the Ocean exhibit, the insect zoo, and the hall of human origins. Some that I didn't get a chance to see included Gems and minerals (including the Hope diamond), the dinosaur exhibit, and the discovery room (hands on exhibits). 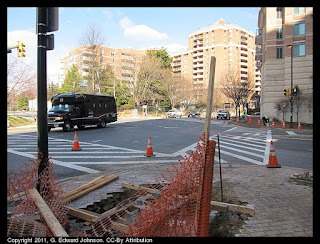 They are in the early stages of putting new traffic lights in on the corner of Woodmont Avenue and Edgemoor Lane near Bethesda Metro station. Yesterday the right and left lanes were blocked with work trucks. The existing poles for the lights and walk signals are very rusty, new ones are needed. 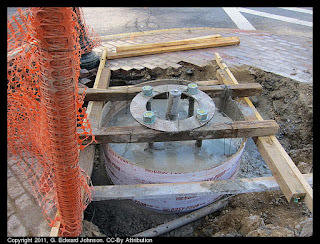 The foundations for the new posts have been poured, This big one and smaller ones at the other corners. 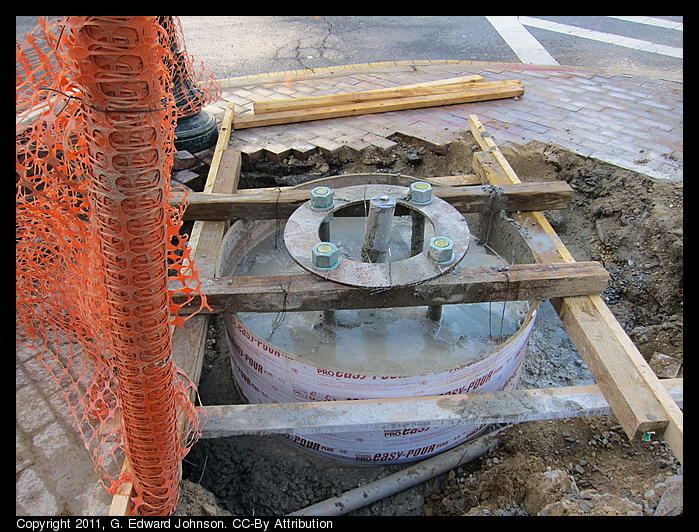 Presumably, this large one will be fore the pole that holds the lights and the smaller ones will be for walk signals. 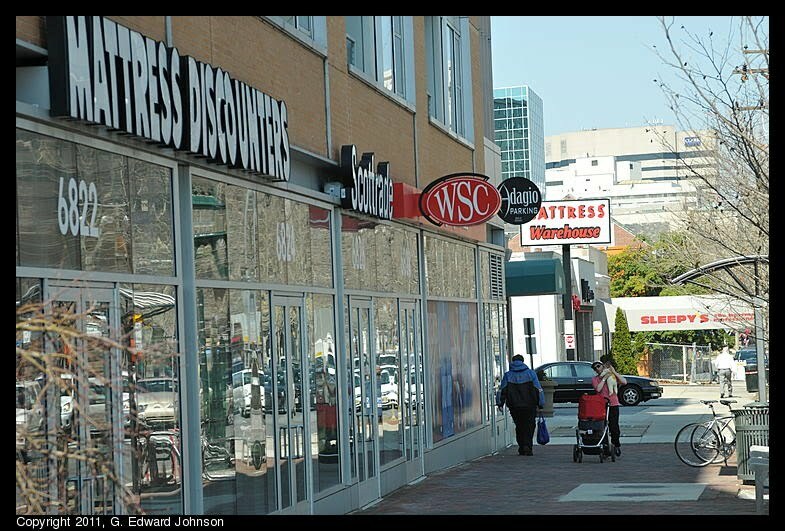 Here's the same intersection from a different angle. Yesterday was a pretty nice day, lots of sun and a little warm (but too windy). As I was walking around Bethesda I noticed they were putting in some spring flowers (pansies) at Bethesda Metro Plaza. 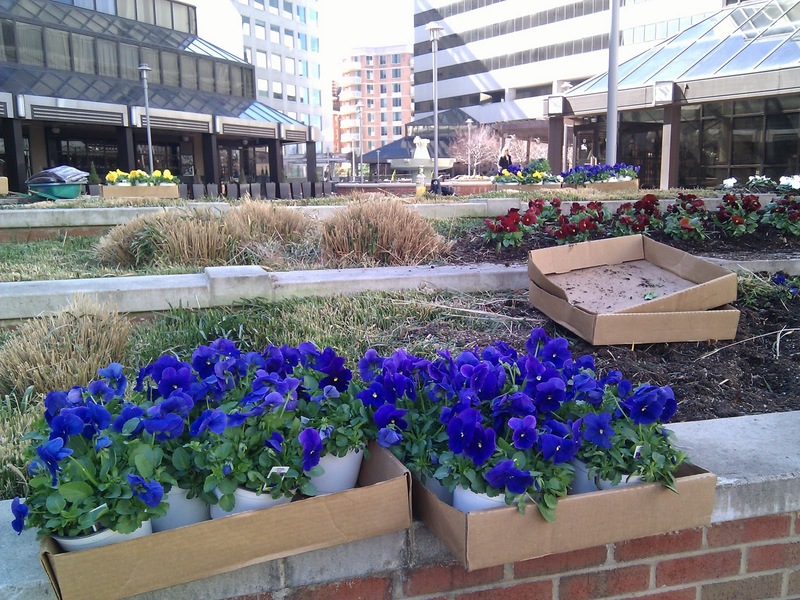 It's nice to see some signs that spring is finally on its way.